Taipei, Taiwan - August 17, 2007- SPARKLE Computer Co., Ltd., a professional VGA card manufacturer and supplier, today announced SPARKLE GeForce 8500 GT PCI and GeForce 7300 GT PCI Graphic Cards. 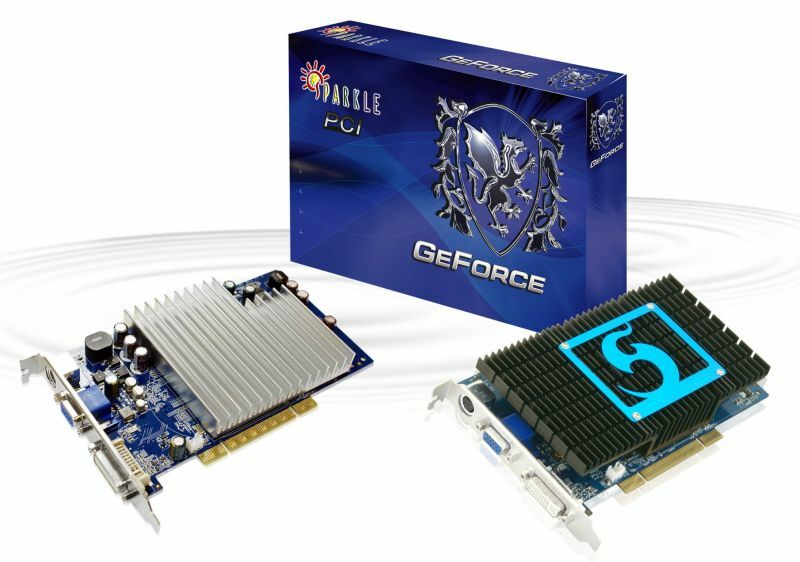 SPARKLE GeForce 8500 GT PCI and GeForce 7300 GT PCI Graphic Cards bring affordable upgrade solutions to special PCI platform and industrial applications with lower prices. Based on NVIDIA’s awarding G86 architecture, SPARKLE GeForce 8500 GT PCI Graphic Card adopts innovative unified architecture, dynamically allocates processing power to geometry, vertex, physics, or pixel shading operations, delivering up to 2x the gaming performance of prior generation GPUs. Built upon technologies such as NVIDIA Lumenex Engine, providing support for DirectX 10 Shader Model 4.0, NVIDIA Quantum Effects technology for physics computation and GigaThread technology for extreme processing efficiency in advanced, next generation shader programs. In order to provide aggressive price/performance ratio to special PCI platform users, SPARKLE GeForce 8500 GT PCI Graphic Card features 450MHz core speed, 16 stream processors at 900MHz shader clock and 512/256MB 128-bit DDR2 video memory, delivering good upgrade capability. Based on NVIDIA high performance G73 architecture, SPARKLE GeForce 7300 GT PCI Graphic Card is the best choice for special PCI user or industrial applications platform to upgrade.Helped with 350MHz core speed and 512/256MB 128-bit DDR2 video memory, SPARKLE GeForce 7300 GT PCI Graphic Card delivers right performance and price rate to special PCI or industrial applications platform users. It offers Shader Model 3.0 support—including vertex texture fetch (VTF)—to ensure max compatibility with all DirectX 9 applications. "By introducing SPARKLE GeForce 8500 GT PCI and GeForce 7300 GT PCI Graphic Cards, now special PCI platform and industrial applications platform users can get right products to upgrade. "said Kevin Wang, sales director of SPARKLE Computer Co., Ltd. "SPARKLE is proud of providing such a affordable upgrade solutions. Special PCI platform and industrial applications platform users can go on using their favorite machines with less expend on upgrading." The connectors on those cards appear to be PCI 32 bit at 66Mhz. That's not compatible with the mainstream PC PCI bus connectors that run at 33Mhz.